lundbeck, Our story., psychiatry, Random, Shanes story. On Monday 10th March, TV3 will air a documentary covering the events surrounding the death of my son Shane and his killing of Sebastian Creane. We decided to participate in this programme because it provided others with the opportunity to hear about the role that SSRI antidepressants played in the tragic deaths of both young men. This is information we wish we had known before Shane’s death and which we believe may prevent other families suffering the pain we all now live with. Vincent Browne and Lisa-Marie Berry (the Producer) assured us that the programme will be well balanced to all concerned and that we will be kept informed of everything. This TV3 Tweet shows the last recording of my son before his death, something I wasn’t aware existed and certainly wasn’t informed of. I was assured that Shane’s friends would be interviewed for the programme. One of his friends was indeed approached by Vincent Brown; he agreed to do it but is still waiting for the call. As the programme, which I haven’t yet seen, airs in 2 days; I have concerns that I should have gone with my initial decision – to leave the other familes to it. Maybe the documentary will be as objective as promised. Either way, I feel there are some relevant issues which I should clarify before the airing of this programme. When we were approached to do the Late Late Show some weeks after Shane died, we were absolutely terrified. The initial feeling was to run, stay away from it – I had no idea how to deal with something like that and we were still deeply in shock – we still are. Our over-riding feeling, from the very beginning, has been that if this can happen to Shane it could happen to anyone – people needed to be warned. That was the deciding factor. I informed the other families that we were appearing on the show and assumed they were asked also. We were then told that Sebastian’s family didn’t want us to do it as his month’s mind was on that weekend, so we arranged with RTE to do it the following week instead. I have never felt anything other than thankful to Ryan Tubridy and his team for allowing us (as Shane’s family) to tell our story and also for allowing Dr Michael Corry to inform the public of the dangers that these drugs can pose. It was never our intention to hurt anyone by doing this show. We felt that the only way to stop more tragedies like ours was to make the public aware of the dangers too. I was happy with how the inquest went. James McGuill and David Healy were great – despite the fact that Shane died from self-inflicted wounds, the jury rejected a suicide verdict. As for Professor Patricia Casey, who attended Shane’s inquest on behalf of of the Irish College of Psychiatry and who directly afterwards spoke to the media of her ‘issues’ with the evidence – Professor David healy is a psychopharmacologist, scientist and the world-leading expert on the effects of psychiatric medication; Professor Patricia Casey is not. There was no issue. It is my opinion that Professor Casey undermined the inquest process and the jury’s verdict. As a direct consequence of that, the other families involved were led to believe that the process was defective and thus prevented from getting the answers they needed. We fought very hard to get answers following the death of our son; we got those answers. Again, it was never our intention to upset the other families in doing so. At the time I was not aware that the Creane and Hannigan families had met with the Coroner Cahal Louth before Shane’s inquest. It is my opinion, held with respect for both families, that their involvement in my son’s case, along with the involvement of Professor Casey, was inherently wrong. The jury took on board Professor Healy’s testimony on the role the prescribed drug played that night – the effect it had on my son. They returned the only other option available to them, an open verdict. This is the part which could have helped others – a change in the law to allow a verdict of ‘Iatrogenic Death’ may be more suitable. This is currently being discussed in the Seanad by another bereaved family, also SSRI drug induced. A rider would have been useful, where an investigation into this medication (or all SSRIs) could have been recommended – or at the very least caution advised. The fact is that Coroners have ordered investigations into this drug before. It comes with a black box warning in the US. In Canada the same drug company has warned clinicians of reports of ‘self harm and harm to others’. The inquest could have played a role in informing Irish people of this. Professor Healy said that what happened that night was caused by Shane taking the prescribed drug Citalopram. I believe if Shane had not been prescribed Citalopram, both young men would still be alive today. One issue that sometimes comes up, usually from psychiatry protecting their medical model, is that I might be doing more harm than good – possibly stopping people from taking drugs which are perfectly suited to them. These drugs are being prescribed to our children without warning that they can cause cause suicide, violence, worsening depression, mania, akathisia, birth defects and sexual dysfunction. People need to be informed – informed consent is the issue here/or lack of; the choice is then theirs to make. I have never advised anyone not to take medication or to stop taking it – I have, if asked, given all the facts, not just the harmless effects. Irish citizens have the right to the same level of protection and informed consent as Americans and Canadians. What Can The Irish Government Do? I have been part of a delegation which met with Kathleen Lynch in Leinster House. This included Professor David Healy, Dr Declan Gilsenan and Tim O’Malley. Each one told her of their concerns that these drugs are harming people. Prof Healy told her these drugs are the leading cause of death within the mental health field while Dr Gilsenan told her that his experience as a pathologist led him to believe that the majority of suicide victims had been ‘recently introduced’ to SSRIs. Both Kathleen Lynch and Tim O’Malley acknowledged that these dangerous drugs are widely over-prescribed. As a country we need to urgently address our high rates of suicide. The Irish government need to start by gathering and publishing data showing how many suicides and homicides were caused by SSRIs. The investigation into the practices at Portlaoise Hospital was initiated after the death of 4 babies. Ireland has had 525 deaths by suicide last year. Preventing further deaths requires understanding the drivers behind them. Currently those who provide us with data on the role of SSRIs in suicide and homicide have financial links with pharmaceutical companies like Lundbeck, who exert significant influence over psychiatrists, academia and our Government. Patricia Casey, who has up until this documentary rejected any claims that SSRIs can cause suicide and who has attempted to influence and discredit the verdict of the jury at Shane’s Inquest, has received payment from Lundbeck Pharmaceuticals. She is not alone. Many of the most published academics from Irish universities and the Irish government also have financial ties to pharmaceutical companies. Sadly, the Irish College of Psychiatrists and the government are in denial about the issue of prescription drug induced suicide. For this reason, we need a fully independent inquiry into this issue, one which is not influenced by the pharmaceutical industry or conducted by those who have a vested interest in the outcome. Lundbeck Healthcare Professionals’ Warning Letter. Previous postInquest of Teresa Mullaney, Age 70. I hope the TV programme is as well balanced as your current blog. The truth must out. I note that the title of the documentary is “A Search for Justice”. But justice will be achieved only if Lundbeck admit complete responsibility for the tragic events. 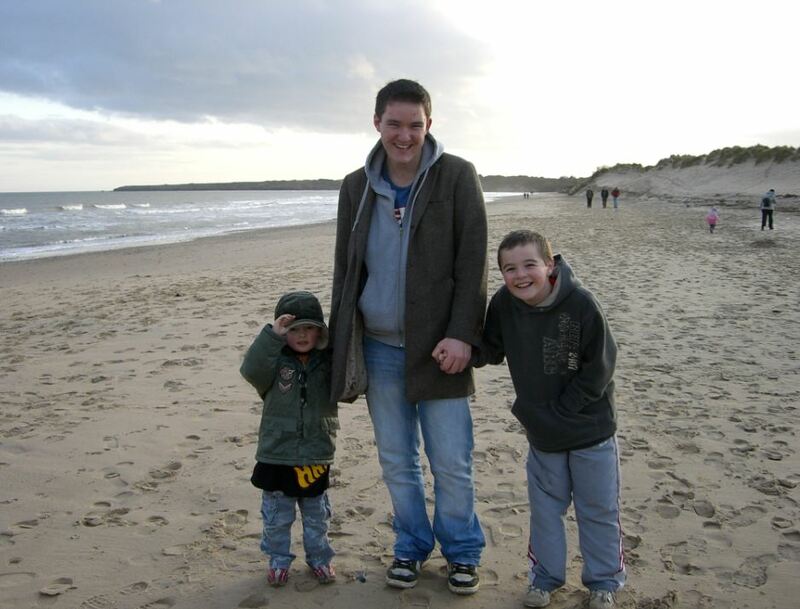 We also lost a lovely son to a Citalopram-induced suicide, in early uptake. Soon we discovered what harm this drug had brought to others, and also realised that Lundbeck and our medical authorities were firmly set on denying all damage done. We were adrift in a world where Pharma profits outweigh the safety of those who use their goods, and many who could make a difference turn a blind eye. Because it pays them to do so. Then we found a place to be. Alongside you. Always. Thanks so much for all the comments. Always Maureen! Professor Casey is in the Sunday Times today speaking on my son and defending Lundbeck’s Citalopram – “I do not think it was the drugs, I believe it was a psychiatric illness he was suffering from.” Really Patricia? Professor David Healy (the actual expert) says that the drug caused it, but sure don’t let that stop you! Silly me, I wasn’t aware that you’re also an expert in doing Psychological Autopsies? I am not related to or know no one from either family but have the greatest sympathy for both and hope you can all find some peace somehow.As a father I can see both sides of the story and can also see now that Shane was also a victim as he seemed such a different person to the one who turned up in Bray that night.I am also surprised his friends are not more vocal. Thanks for the comment 5am and for the kind words. Shane was definitely a victim – the nicest, kindest person you could imagine. Shane’s friends, despite being happy to do the programme, were not asked by TV3. There is also the feeling that if anyone says nice things about Shane, it may seem like going up against the other families, or taking sides – sad all round really. Hi Leonie I hope your still reading this page. I remember watching the documentary about your son about two years ago but I am unable to locate it again. Do you have a link at all? Hi Leonie, never had to write that before!! No sorry, I don’t think there was ever a link to the TV3 one. If a different one comes up I’ll certainly send it to you.